The Slide is So Hot It's Super Cool! 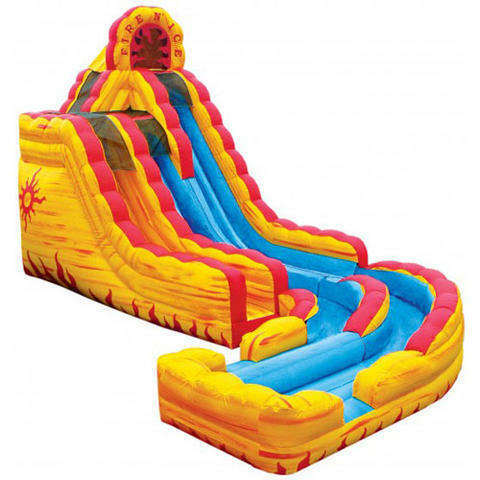 Our 20ft Fire & Ice Water Slide is perfect for cooling off a hot party this summer. Standing 20ft tall with the "No Jump" safety feature at the top. The front entrance climb keeps all the activity up front. This slide feature dual slides and at the top kids can choose the first level slide or climb up a few more steps and hit the big slide. Then there's the quick slide down to the splash pool; very cool!